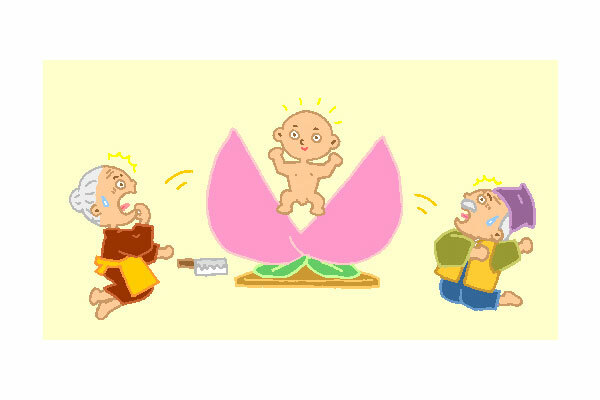 Many, many years ago, there lived an elderly couple in the rural lands of Japan known as Okayama. They were childless but were content to live a simple, uncluttered life. One day, as the old woman washed their clothes by the clear, crisp water of the river, to her utter amazement she saw the biggest, juiciest looking peach come floating downstream. Elated with her good fortune, she quickly scooped it up and took it back home. One thing the old lady was good at, was her skill in the kitchen. 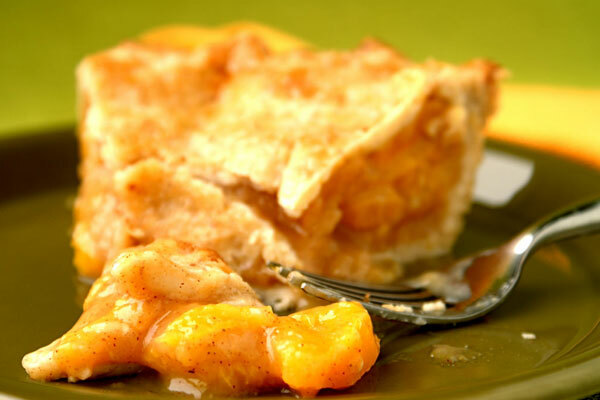 And her specialty just happened to be Peach Pie. Her pies were so delicious, just the smell of one of her freshly baked pies was enough to bring her husband home, even when he was deep in the woods gathering firewood. In fact, during those days, it worked better than a cell phone ever could. But just as she made her first shallow cut into the peach, a baby boy sprang out from inside and nearly gave both the old woman and old man a heart attack. They recovered quickly though, when they saw what a cute little boy he was. And so the legend of MOMOTARO was born. The bonus was that the rest of the peach was still good, so the elderly couple was still able to have their peach pie. In time, MOMOTARO grew up to become a healthy and noble young man, having been raised by old fashioned parents who loved old fashioned peach pie. So when he learned of a band of delinquent Ogres terrorizing the townspeople of Onigashima, he couldn’t stand idly by and watch the injustice. He decided to clean up the village. Reluctantly, his parents sent him on his mission with nothing more than a handful of homemade kibidango (millet dumplings). Of course, these kibidango were about as delicious as his mother’s peach pies, so he had no trouble recruiting allies on his way to Onigashima, just by offering them the soft chewy desserts in exchange for their fighting spirits. And so it was that this motley crew of a brave boy, a pheasant, a dog and a monkey, approached the great gate to the lair of the Ogres. The plan was simple. 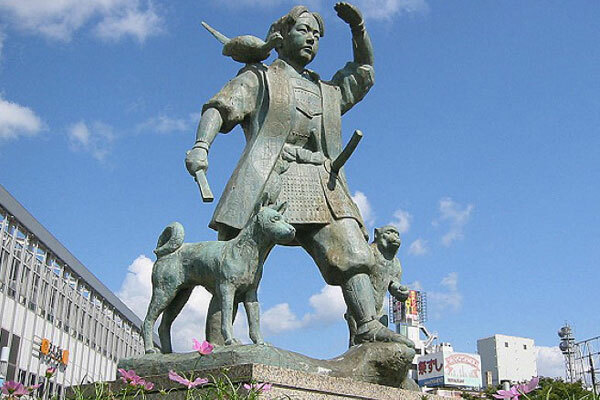 Pheasant flies over the gate and starts the attack on the Ogres, distracting them long enough for MOMOTARO, Dog and Monkey to sneak through a secret passage and launch a full scale offensive. It worked to perfection–after a lot of snarling, biting and yelling, the Ogres just gave up. 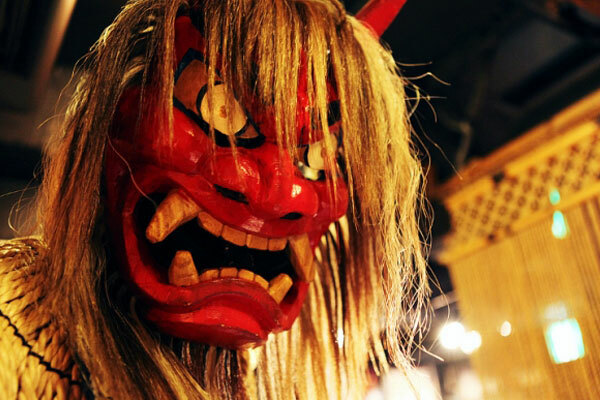 In a symbolic gesture of surrender, the Ogres had to cut off their horns so they could never threaten the townspeople again, and all the treasures they had stolen were given to MOMOTARO to be returned to the people. Thus it was that MOMOTARO and his brave band of unlikely soldiers returned home triumphant, heroes with great tales to tell. 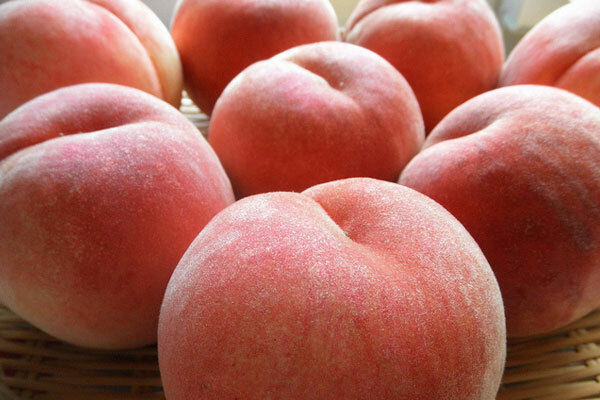 And since that great adventure, the region of Okayama has been known to grow the best peaches in all of Japan. Happy National Peach Month everybody! It might be summer, but we’re feeling nostalgic for the cooler days of autumn and winter, and thinking fondly of eating chukaman! Chukaman are soft, steamed buns filled with sweet or savory ingredients. These buns were introduced into Japanese cuisine by Chinese immigrants, and over time, have become part of the food culture of Japan. “Chuka” loosely translates to “Japanese-style Chinese cuisine” and “man” means “steamed bun”. Most people who’ve grown up in Japan fondly remember eating these steamed buns on cold winter days, buying them piping hot from local convenience stores like 7-Eleven and Circle K on the way home from school or work. Popular food bloggers and writers publish recipes about how to make homemade chukaman, from fresh ingredients and using expert wrapping techniques. But the best part of eating chukaman is choosing which filling to get! 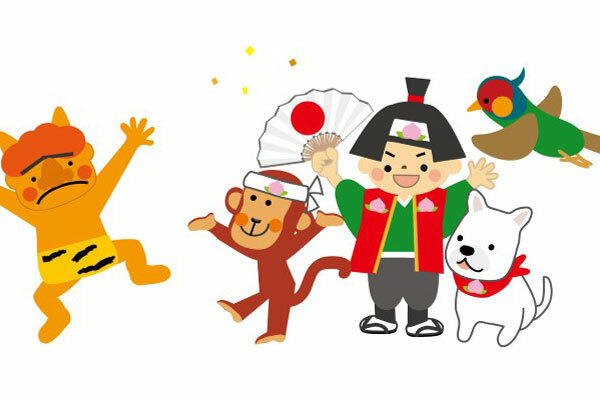 In Japan, chukaman come in many varieties. 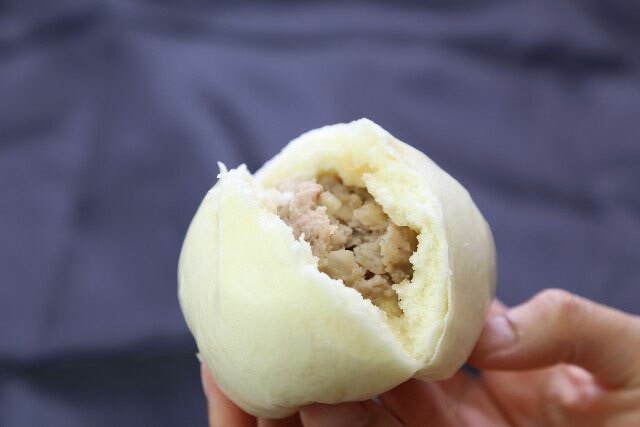 Nikuman are the most commonly available savory buns, filled with seasoned minced pork, scallions and ginger. Anman are the most popular sweet buns, filled with red azuki bean paste. Pizaman and kareman are filled with pizza sauce with cheese and curried vegetables and meat, respectively. Regardless of which filling is selected, the softness of the bun is what makes chukaman addictive. There are various recipes for the dough, but it is usually made using flour, yeast, sugar, salt, baking powder, oil and water. The dough is mixed, kneaded and allowed to rise, infusing it with air bubbles that makes it soft and light. The dough is then formed into discs and stuffed with the filling. Each disc is pulled into the shape of a small pouch and twisted at the top to seal it. 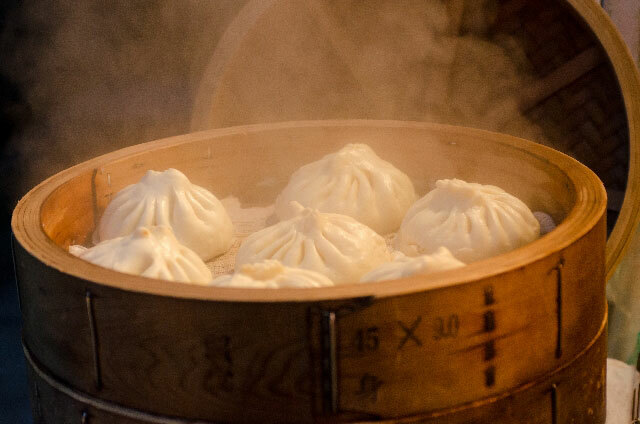 Once the filled buns are formed, they’re steamed and ready to eat! 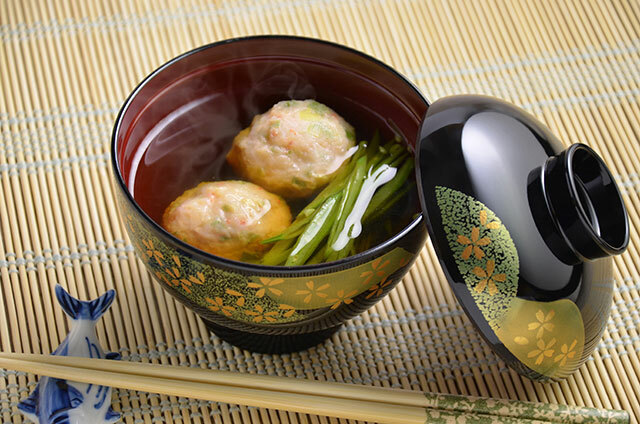 Everyone has their own favorite way of eating chukaman but the easiest way to eat them is hot out of the steamer, without any extra seasoning or sauce. Really, there isn’t time to wait once you have a bun in your hand! Have you eaten chukaman? Share your “steamed bun” stories with us and don’t forget to look out for next month’s post about Japanese street food! If umami represents the soul of Japanese cooking, then dashi certainly represents the heart, enhancing and harmonizing the flavors in many Japanese dishes. This month, we continue our series about umami with a tutorial about how to make dashi. We also feature recipes that use dashi, showcasing the breadth of dishes that rely on this essential ingredient. In classical Japanese cooking, dashi is commonly made with water, kelp (konbu) and the shavings of dried, smoked skipjack tuna (bonito flakes or katsuobushi). Two types of dashi can be prepared from one batch of ingredients: ichiban dashi and niban dashi. Ichiban dashi is the first extraction of umami from the konbu and katsuobushi, resulting in a pale, clear and delicately fragrant broth. Niban dashi is the second extraction of umami from the leftover konbu and katsuobushi used to make ichiban dashi and results in bolder flavor. Japanese cooks use both types of dashi to flavor specific types of dishes and to fully utilize the ingredients without waste. Ichiban dashi is simple to make, as long as a few techniques are followed with precision. To extract the full flavor-enhancing properties of the glutamate-rich ingredients, start with cold water. Place the water in a saucepan, along with a square piece of konbu. Heat the water over medium heat until just before it boils, when bubbles start to appear along the bottom and sides of the pan. Remove the konbu, and let the water come to a full boil. Removing the konbu at this precise time prevents the glutamates extracted from the seaweed from becoming bitter due to prolonged exposure to high heat. Remove the pan from the heat and allow the liquid to cool. Then, add the katsuobushi to the saucepan and heat the mixture again until it reaches a boil. Turn the heat off and let the bonito flakes steep in the liquid. Finally, strain the liquid through several layers of paper towel or cheesecloth, into a clean glass container, so that no small pieces of fish or seaweed are left in the broth to muddle the flavor. This step-by-step recipe for Ichiban Dashi notes the actual proportions, temperatures and cooking times…and we know you’ll find it enjoyable to make! Niban dashi is made using the already-cooked seaweed and fish left over from preparing ichiban dashi. Add both ingredients back into the saucepan, add a few cups of water, simmer the mixture for several minutes over low heat, then strain. In the case of both ichiban and niban dashi, the keys to creating the best dashi lie in extracting and preserving the glutamates from the konbu and katsuobushi. Prolonged cooking, excessively high heat and inadequate straining can result in a dull and fishy broth that sullies, rather than enhances, the dishes that rely on dashi to infuse them with umami. Ichiban dashi is used in many types of dishes, from soups to appetizers to salads. 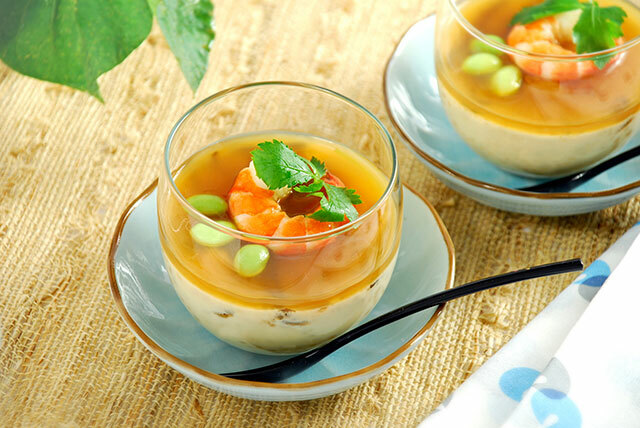 We have some great recipes that use ichiban dashi on our website, like Tofu Misoshiru, Shrimp Ball Broth, Hiyashi Chawanmushi and Crab & Cucumber Sunomono. Bringing out the flavor of fresh, high-quality ingredients using umami-rich dashi is at the core of Japanese culinary tradition. We encourage you to make your own dashi, and as always, would love to hear about your experience! Is one of your favorite experiences waking up to the aroma of freshly brewed coffee? Or sharing a glass of iced coffee with a friend on a hot afternoon? 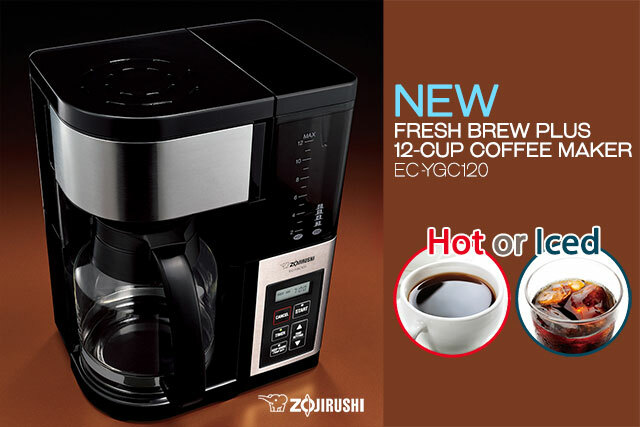 We love our coffee here at Zojirushi, and are excited to share the new Fresh Brew Plus 12-Cup Coffee Maker (EC-YGC120) with special features for brewing iced coffee with you! This stylish coffee maker brews up to 12 cups of hot coffee, or up to 6 cups of iced coffee! Ideally, coffee should be brewed at 200°F, and our coffee maker quickly heats water to this temperature to maximize the flavor of your coffee. For hot coffee, open the easy-access swing basket and fill the filter basket with your desired amount of ground coffee. Then, fill the removable water tank with fresh water corresponding to the amount of coffee you’re brewing using the clearly-marked ‘HOT’ water measure lines as a guide. Press START. Your coffee is all set to brew! The heating plate that the glass carafe sits on has four keep warm settings–HI, MED, LOW, OFF–and keeps the brewed coffee warm at the temperature you like. When the carafe is removed, the machine inhibits messes with the drip prevention mechanism, and the clean spout design of the glass carafe makes pouring smooth and easy, helping to avoid dribbles and dripping. If you prefer your brew iced, the Fresh Brew Plus makes brewing complex and bright iced coffee a cinch. Fill the Ice Basket in the glass carafe with ice, add water to the water to the level line on the water tank marked “ICED”, put your ground coffee into the filter basket, then turn the heating plate keep warm setting to OFF. Press START to brew your coffee. The coffee is instantly chilled as it brews, locking in delicious flavor and aroma… ready to drink! Our Fresh Brew Plus 12-Cup Coffee Maker is easy to clean and maintain, just like our other products. A Clean Indicator illuminates when cleaning is recommended, and the filter basket and swing basket are easily removed for washing in the sink. We’ve even added a few other great features to this new coffee maker: a convenient clock timer that can be set at night so you can wake up to the enticing aroma of freshly brewed coffee, a measuring spoon that works perfectly with our coffee maker to make filling the filter basket easy, and sample filters, so you know exactly what fits! All food contact zones are BPA-free. We know you’ll love this new coffee maker as much as we do, and you’ll be able to purchase it from our great retail partners this month! As always, we’d love to hear from you, so be sure to leave a comment below. What Is Rice Really? : Delicious and Nutritious! We’ve been writing all year about rice–how it’s cultivated, harvested, consumed. But at the end of the day, it’s all about eating it! Rice is one of the most delicious and nutritious foods eaten by people all over the world. Rice is packed with nutrition. Nutritionally classified as a carbohydrate, rice provides sustaining energy. 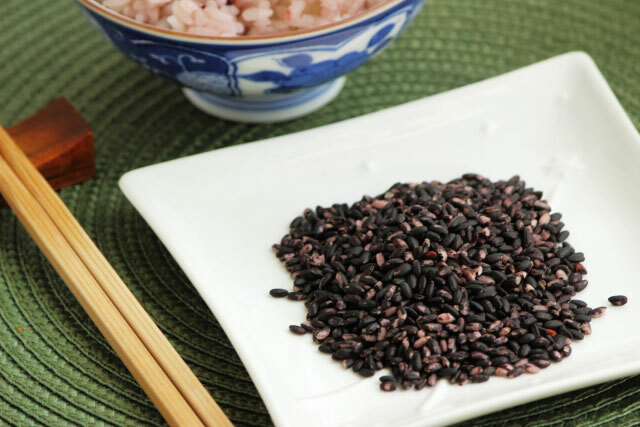 It depends on the type, but generally rice is a good source of calcium, thiamine, pantothenic acid, folate and vitamin E. Red rice provides additional levels of iron and zinc, and black rice is rich in anthocyanins, which are powerful antioxidants. And rice that hasn’t had the bran polished off provides high levels of fiber and small amounts of protein. Because rice is eaten around the world, it is a key crop used to help reduce or prevent hunger and malnutrition. As a source of readily-absorbed energy, eating rice mitigates starvation. Genetically-modified rice such as Golden Rice, “iron-clad” rice and “high zinc-uptake” rice are new varieties that help to provide vitamin A, iron and zinc to people whose diets severely lack these necessary nutrients. So, rice is good for you… but people really love rice because of how it tastes. Rice is considered a delicious food across numerous cultures, whether it is served plain or highly seasoned. 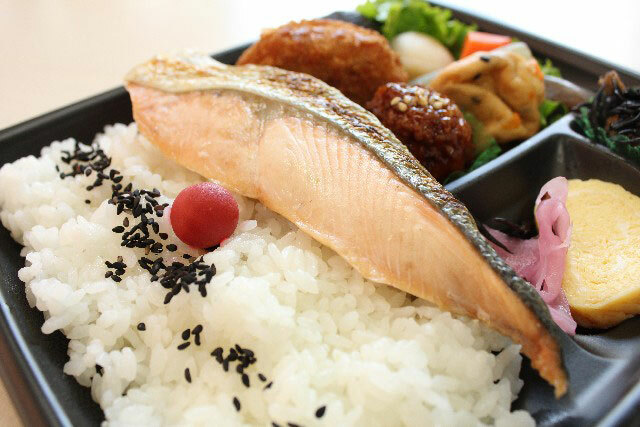 While different types of rice are preferred in Southeast Asian, Indian, Latin American and Western cultures, Japanese people typically find short-grain rice to be the most delicious. Rice is composed of two types of starch molecules: amylose and amylopectin. Amylose is a long-chain starch molecule that keeps rice firm and prevents it from gelatinizing. Long-grain rice has a high amylose content and will cook up defined and fluffy grains that won’t stick together. 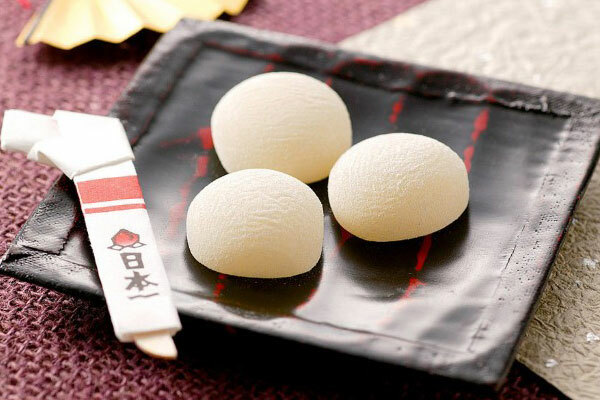 Amylopectin is a short-chain, branched starch molecule and rice that has a high amylopectin content will cook up sticky, soft, and creamy depending on the amount of water added to cook. When rice cooks, the heat and cooking liquid break down the starch molecules and activate them, so the grains become soft to eat. Short-grain rice is higher in amylopectin than in amylose, so when it is cooked, the rice grains will plump up and stick together. Many Japanese people prefer the texture and the taste of this type of rice because it is the perfect complement to delicately flavored Japanese dishes. 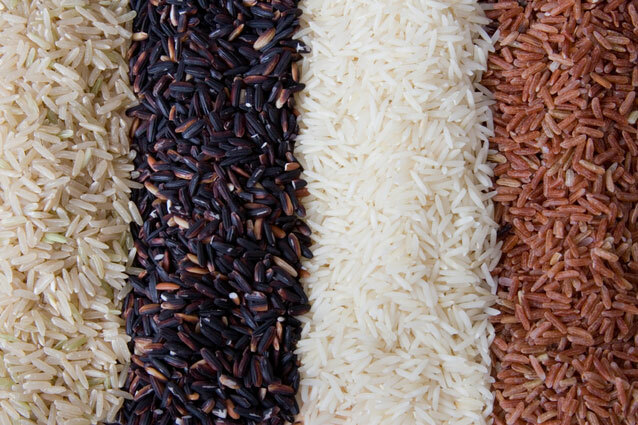 What kind of rice is your favorite? Let us know in the comments below!